Boron nitride nanotubes (BNNTs) are the divas of the nanoworld. In possession of alluring properties, they are also notoriously temperamental compared to their carbon-based cousins. 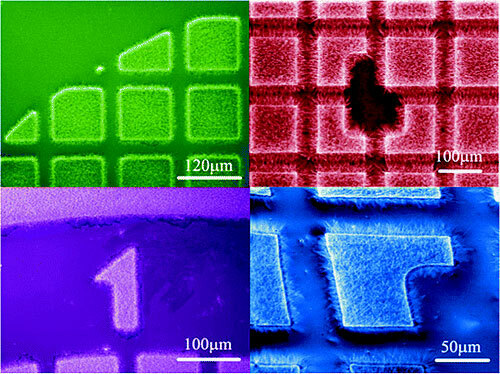 Dramatically enhanced image contrast could revolutionize diagnostics and therapeutics. The theme for this year's conference is 'SoC in Cloud Computing'. Researchers in Berlin analyze the movement of those microscopically small organisms in aqueous environments. Following their example, tiny machines with the aptitude to work inside the human body could be built. A project to expand production of units for applying modified coatings of a single nanometer thickness on materials and goods with the help of a plasma magnetron discharge has won approval from the Supervisory Council of RUSNANO. The products to come from this project are membrane plating and membranous roll-fed modules that are used in the process of filtration and reverse osmosis. The precious metal gold is the material of choice for many technical applications because it does not corrode - and because it also has interesting electrical, magnetic, and optical properties. In these applications, it is extremely important that the surface of the gold be completely clean and smooth. However, conventional processes not only 'polish' away the undesirable irregularities, but also attack the gold surface. Grants support acquisition of specialized Atomic Force Microscope for nanobioscience research, as well as novel innovations for health care, clean energy, military, aerospace and automotive sectors. The country is on a scientific roll, to the point where it could conceivably be regarded as the emerging global center for scientific research, a new report indicates. A multi-institutional team led by Yale University researchers has used nanosensors to measure cancer biomarkers in whole blood for the first time. A variety of nanoparticles have shown to be effective in delivering cancer drugs more directly to tumor cells, mitigating the damage to nearby healthy cells. Now, researchers from Purdue University have demonstrated that these nanoparticles are getting their drug payloads to the correct intracellular compartments. Single-walled carbon nanotubes have been highly touted for their potential as novel delivery agents for cancer detection and therapeutic agents. Now, a team of investigators from six institutions have created a multifunctional carbon nanotube that can detect and destroy an aggressive form of breast cancer. Just as fly paper captures insects, a pair of nanotechnology-enabled devices are able to grab cancer cells in the blood that have broken off from a tumor. These cells, known as circulating tumor cells, or CTCs, can provide critical information for examining and diagnosing cancer metastasis, determining patient prognosis, and monitoring the effectiveness of therapies. A team of researchers from two of the National Cancer Institute's Centers of Cancer Nanotechnology Excellence have teamed up to develop a 'cocktail' of different nanometer-sized particles that work in concert within the bloodstream to locate, adhere to and kill cancerous tumors. MediSens Wireless, a startup company in UCLA's on-campus technology incubator at the California NanoSystems Institute, has obtained approval under federal Food and Drug Administration guidelines to begin clinical trials on its novel wireless body-monitoring system, which assesses muscle and neuromotor functions in the upper extremities. When ribosomes produce protein in all living cells, they do so through a chemical reaction that happens so fast that scientists have been puzzled. Using large quantum mechanical calculations of the reaction center of the ribosome, researchers at Uppsala University in Sweden can now provide the first detailed picture of the reaction.